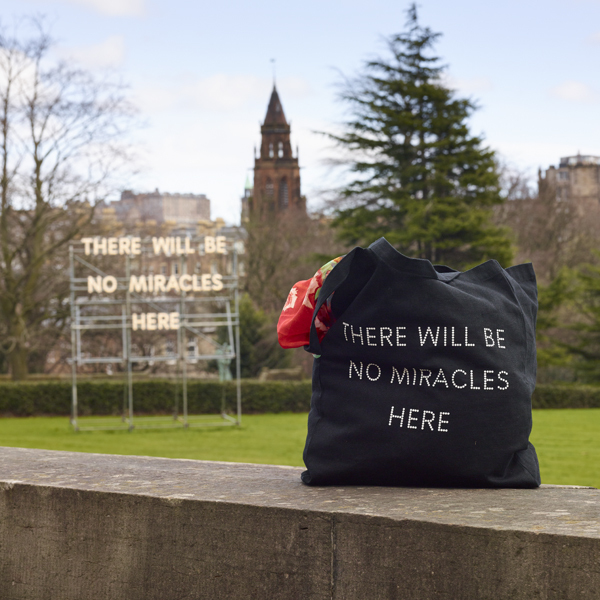 Words taken from a seventeenth-century royal proclamation made in a French town believed to have been the frequent site of miracles. 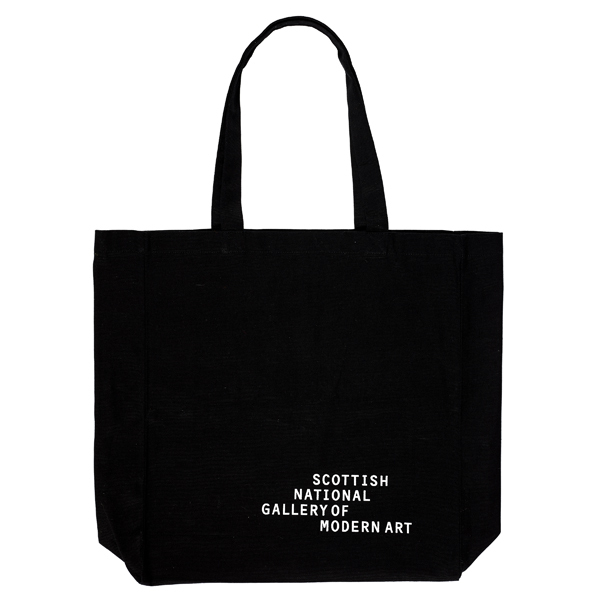 Scottish National Gallery of Modern Art Logo on the back side. 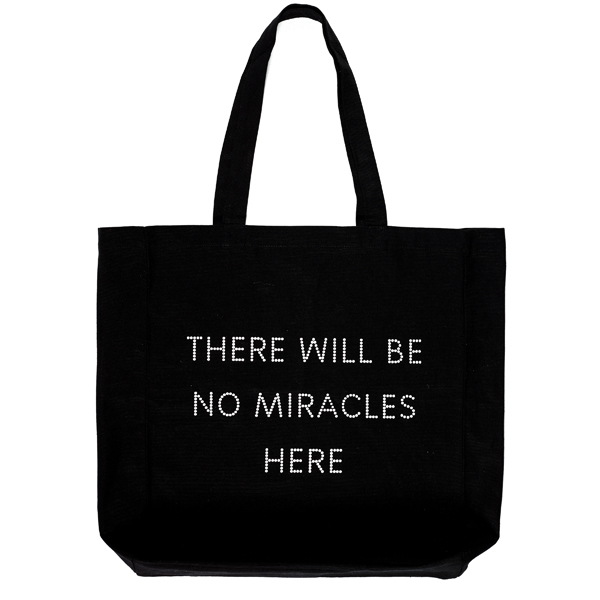 Bag is black with white font in both sides.